Anne-Dorte Andersen had a successful Paralympic career but struggled to find proper coaching along the way. Now she's made it her mission to help athletes with disabilities feel included and accommodated. Anne-Dorte Andersen wanted to dance. As a quiet 5-year-old growing up in Denmark, all that mattered in her world was being able move along to the music, to have a chance to express herself. Even at that young age, being active felt natural to Andersen; it felt necessary. But her mother was nervous about signing her up for the dance classes. She wasn't sure that her daughter would feel like she was a part of the group. You see, Andersen was born without hands or feet -- a rare condition known as dysmelia. Her mother, a retired social worker who has the same congenital disorder, knew well how things could go when trying to join others who don't have the same physical challenges. But she also knew her daughter. "As a parent of a child with a disability, there's a tendency to be overprotective. You worry about them not being included in school, being bullied by other children," said Andersen's 65-year-old mother, Kirsten. "That wasn't an issue with Anne, because she would go out there and just do things." Andersen, 41, had a clear sense of herself from childhood. She wasn't easily scared off by that which seemed difficult. Her parents followed her lead and began encouraging her to keep doing everything she wanted to do. Dance classes soon morphed into swimming, and Andersen's persistence and passion for being active found her figuring out ways to modify strokes in the pool to work for her body. A performance coach at the swim club took notice of her talent and decided to work with her. Two years later, at 14, Andersen was swimming in her first competition. "I found something that I was really good at," Andersen said. "And I quickly realized that sports gave me confidence, which made me feel more accepted." Andersen kept at it and earned a spot on the Danish Paralympic swim team, winning two bronze medals in the 1988 Paralympic Games in Seoul and a silver in Spain in 1992. "In Seoul, that's where I really felt like I was in the right place and where I decided that I wanted to have a career in sports, even after I stopped competing." After her final Paralympics in 1996, she spent several years working with programs that developed opportunities and programs for athletes in the UK, including "Playground to Podium," a legacy program for the London Games. 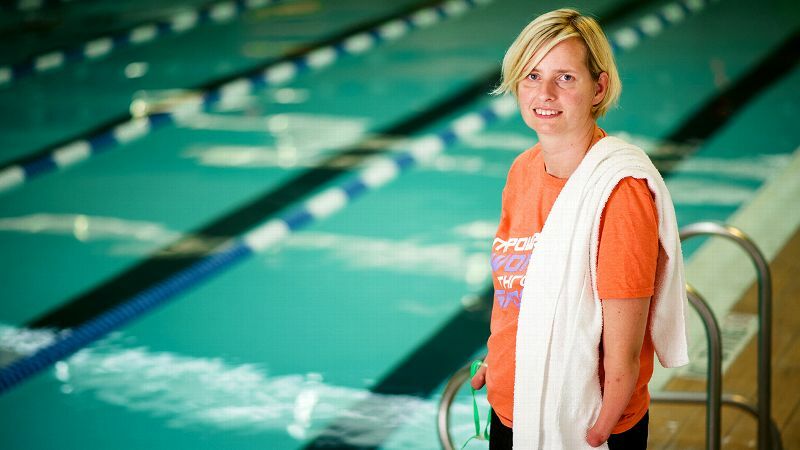 Although Andersen had supportive coaches throughout her swimming career, she worked with some who didn't see the possibilities, who couldn't find creative ways to teach her alternative strokes to suit her abilities. This frustration made her want to do something to help other athletes. "I wanted to be able to support up-and-coming Paralympic swimmers and athletes so that they, too, feel that inclusion -- always," Andersen says. She wanted athletes to know that there were people in their corners, dedicated to helping them get better, faster, stronger. "That's why I love my job." To see the life changes in these young athletes -- they start out in this program so insecure and unsure, their families have been focusing on what the child can't do instead of what they can do. Then they start doing a sport and excel at it, and the whole family's attitude starts to change. Andersen is now the Sports Project Coordinator for Danish Sports Organization For the Disabled (DHIF) in Denmark, where she leads the search for future Paralympians (ages 8 to 18) for the national teams. This includes setting up talent scout visits and recruitment days where people are invited into the organization to learn more about disabled sports. It's the first national program that builds a bridge between recreational and competitive disabled sports, Andersen said. 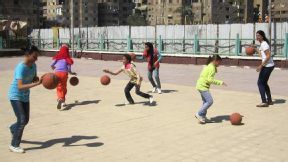 But the cornerstone of her work with DHIF is promoting inclusion and acceptance though sports and providing a safe environment -- physically and psychologically -- for children with disabilities to thrive. "To see the life changes in these young athletes -- they start out in this program so insecure and unsure, their families have been focusing on what the child can't do instead of what they can do." Andersen said. "Then they start doing a sport and excel at it, and the whole family's attitude starts to change. Seeing these young athletes achieving, it's the most rewarding part of all of it." It was that work and her devotion to it that got Andersen noticed by the U.S. Embassy and, by extension, what won her acceptance into this year's Global Sports Mentorship Program. "In Denmark, like here in the States, youth with disabilities don't even know that sports is a real option for them," said Ann Cody, a three-time U.S. Paralympian and the program officer and the U.S. Department of State who has worked closely with Andersen. "And there are a lot of misperceptions and stereotypes about people with disabilities being perhaps too vulnerable or fragile to play sports and be active." The challenge for Andersen and the DHIF, Cody said, is getting the message out to the young disabled athletes' families and their communities that they have access to programs and expert training -- and they can have all of this in an integrated setting. For Andersen, perhaps the biggest piece to helping children with disabilities feel more self-assured and empowered through sports comes by way of connecting with their parents. "For some parents, having that label of 'disabled child' is very difficult," Andersen said. "And doing disability sports only makes it worse." She and her team put a lot of energy into showing the families that it's really about being part of one big sports community. "We have a lot of hard talks with the parents, and it really helps that I can use my own experiences," Andersen said. "Many of my colleagues don't have a disability." One element of the program that has proven very successful is the paring of young athletes with role models. "It can be very lonely out there in mainstream schools and sports clubs," Andersen said. "When you have a disability, sometimes you are just different. But meeting a role model -- someone like you who you can trust and who supports and teaches you, helps you meet your goals -- is definitely the way forward."